The 2010 Kennedy Half-Dollar 200 Coin Bag contains 100 coins struck at the US Mint’s facility in Philadelphia and 100 struck at the Mint’s facility in Denver – all to circulation quality. Shortly after the assassination of President John F. Kennedy, a movement was started to include his image on a coin of the United States. 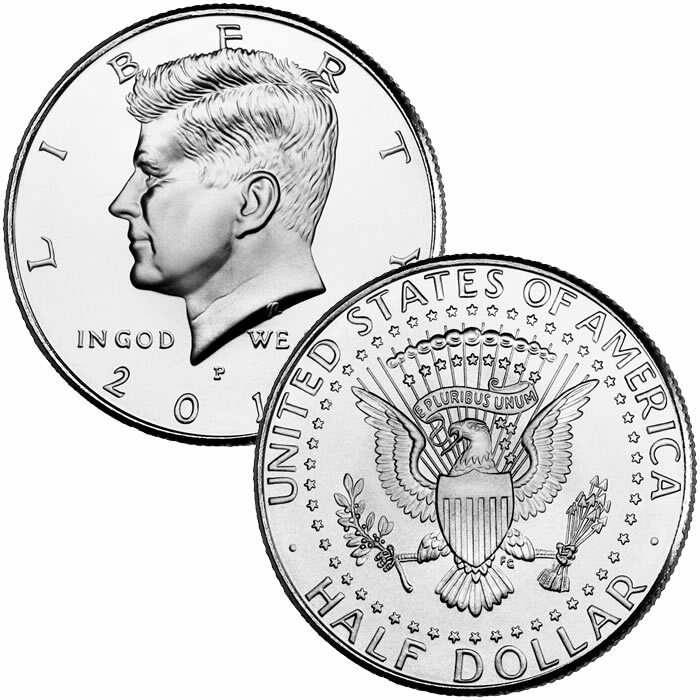 The Half-Dollar was chosen and Kennedy’s image replaced that of Benjamin Franklin. The Franklin Half-Dollar had only been struck since 1948 and would have typically been struck for at least another nine years. Demand for the Kennedy Half-Dollar in everyday commerce is minimal resulting in the Mint only striking these coins for collectors and not for general use. Those interested in the coins can buy them in circulation quality directly from the Mint in either Two-Roll Sets or this 200 Coin Bag. Kennedy Half-Dollars are not struck by the Mint for use in everyday commerce like all the other circulation coinage. Instead, the Mint produces the Half-Dollars in circulation quality for sale directly to collectors in either Two-Roll Sets or 200 Coin Bags. 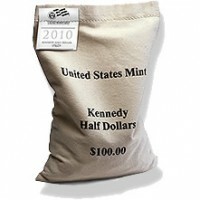 The 2010 Kennedy Half-Dollar 200 Coin Bags were released for sale to the public on January 29, 2010. Issue price on the Kennedy Half-Dollar Two Roll Sets is $130.95 directly from the US Mint. Both the Mint’s facility in Philadelphia and the Mint’s facility in Denver strike the Kennedy Half-Dollars to circulation quality. The portrait of John F. Kennedy on the obverse of the coin was designed by Gilroy Roberts. The reverse showing the presidential coat of arms was designed by Frank Gasparro.